Double spindle design allows for simultaneous edge processing. 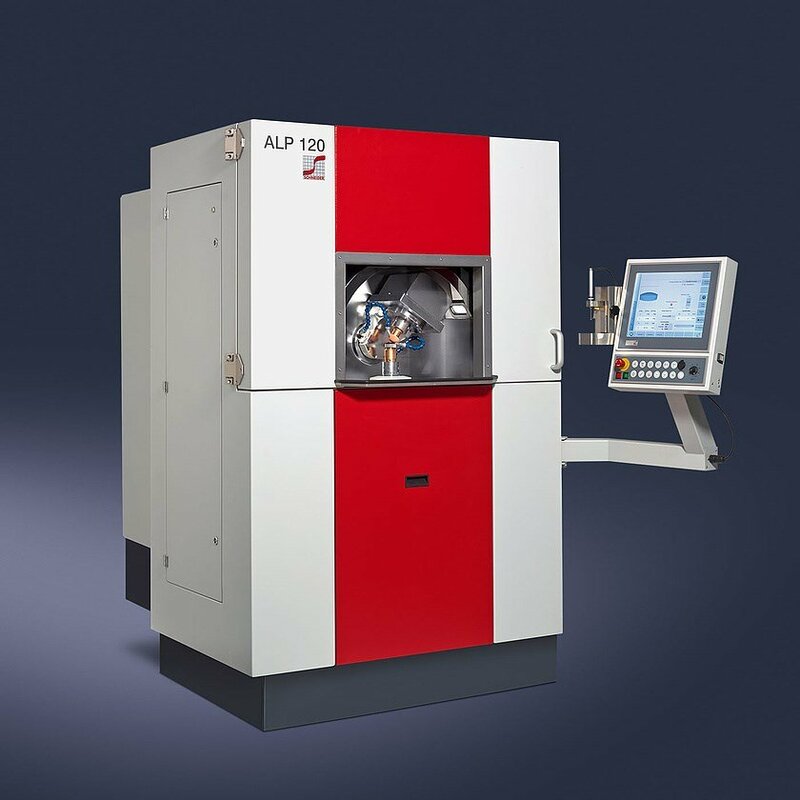 The unique contour control option allows for the measurement of the lens contour while still clamped, enabling corrective machining. 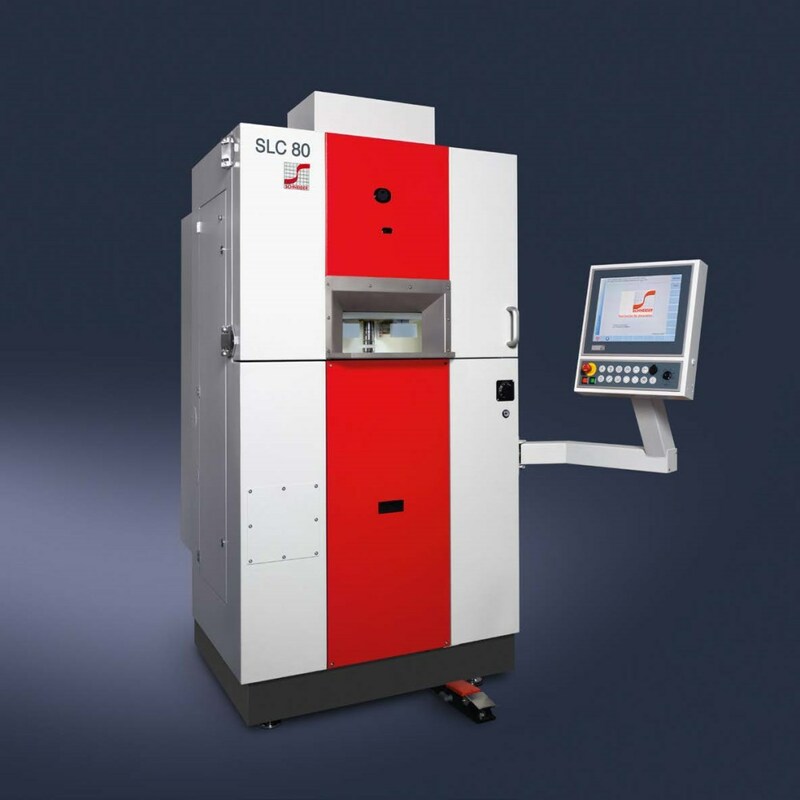 The optional laser alignment operates in both transmissive and reflective modes allowing it to be used with all optical materials. The optional robot automation supports non-stop processing. 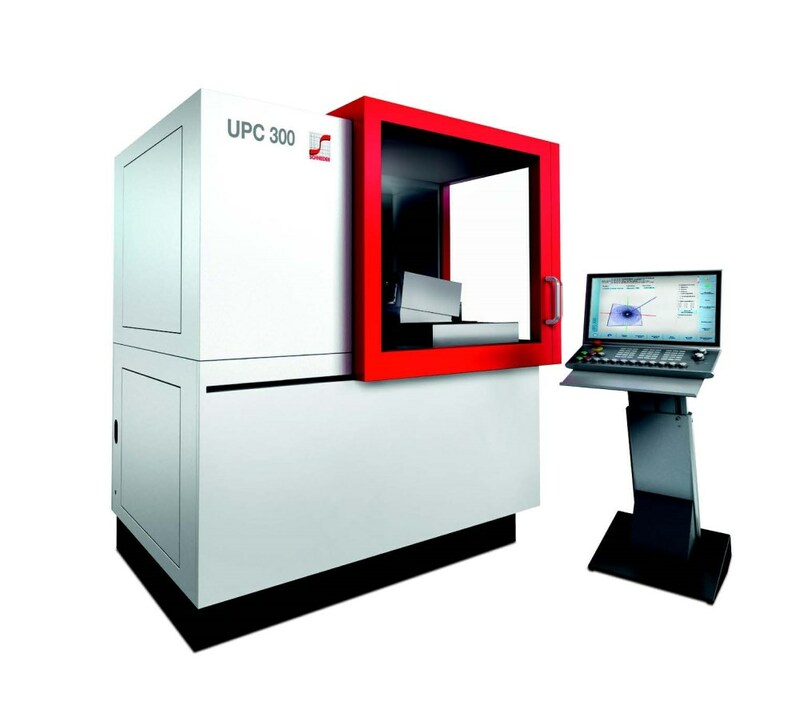 UPC 300 Ultra Precision Freeform Machine - Schneider Optical Machines Inc.
ALP 120 Aspherical Lens Polisher - Schneider Optical Machines Inc.